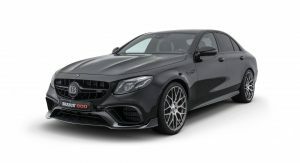 Prior to the Geneva Motor Show kicking off next week, Benz tuning giant Brabus has unveiled its latest upgrade package for the potent Mercedes-AMG E63 S.
If the car pictured looks familiar, that’s probably because you saw a strikingly-similar Brabus-tuned E63 S in September. 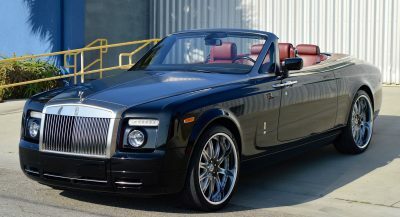 However, unlike that creation which delivered 690 hp, this variant packs 789 hp beneath its skin. 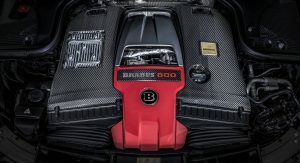 To increase grunt by 186 hp over stock, Brabus fitted a pair of new turbochargers and tweaked the vehicle’s computers. 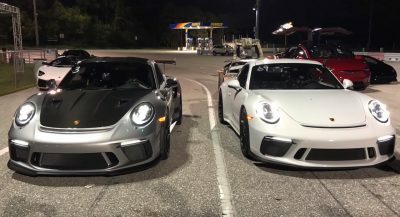 Alongside the mighty horsepower figure, torque has also been increased by a considerable 74 lb-ft to a mind-blowing 737 lb-ft at just 3600 rpm. 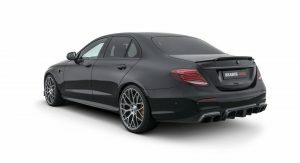 Thanks to these considerable increases in horsepower and torque, the Brabus E63 S reaches 62 mph (100 km/h) in exactly three seconds. 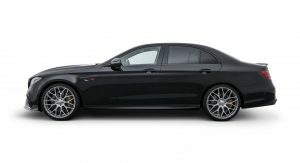 Opt for the E63 S Estate and its 0-62 mph time sits at 3.1 seconds. 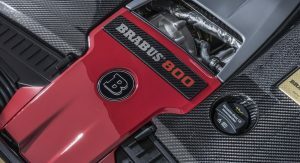 Top speeds for both body styles sit at an electronically limited 186 hp (300 km/h) but Brabus is currently working on a tweak to bypass the limiter. 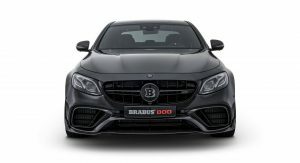 Not satisfied with simply making the E63 S faster and more powerful than standard, Brabus has also designed a number of styling and aerodynamic modifications for the super sedan and estate. 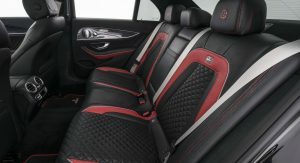 Most notably, there is a selection of carbon fiber parts offered in a matte or high-gloss finish. 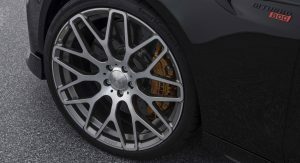 Elsewhere, Brabus offers new alloy wheels for the car that are up to 21-inch in size. 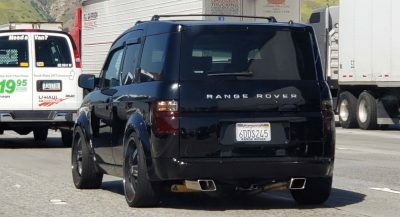 If the customer so chooses, a stainless steel exhaust system can also be fitted as can a range of customization options for the cabin. 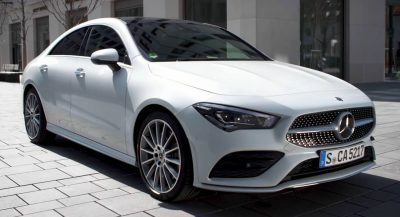 Stay tuned to Carscoops in the coming week for more Geneva Motor Show coverage. 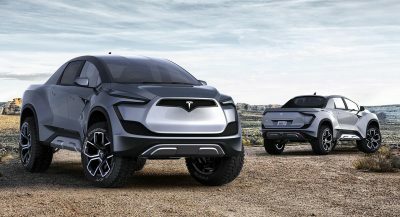 This looks so cool to me. 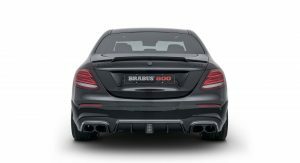 Is it me or Brabus is getting mature with all new tuners with gazilion hp and big wheels & bodykits that pops up these days.